From our very own Alternative Specialist Vet Anuska Viljoen BVSc(Hons) VetMFHom MRCVS, who writes many of our Alternative Articles. The cause of cancer is multi-factorial, i.e. not owing to a single problem or incident. It is the end result of exposure to many different carcinogens and the body’s inability to defend itself from these carcinogens. It is obvious therefore that there are no single MAGIC BULLETS that will kill off and cure cancer. What we need is a multi-factorial approach to stabilise the body’s defence mechanisms as well as decreasing the exposure to potential carcinogens. Latest evidence shows that Radiotherapy and Chemotherapy can promote the spread of a cancer which has not yet spread, as well as cause cancer to begin in healthy tissue, thereby increasing the risk of a different cancer developing. You can do a lot for your beloveds with cancer by avoiding certain things and adding known anti-cancer nutritionals and herbal supplements. Here follows a list of things you can do at home. 2) Avoid food colourants and preservatives (most processed and kibble foods). 3) Change to a more natural Biologically Appriopriate Raw Food or BARF diethigh in natural cancer fighting nutrients and low in carbohydrates. 4) Avoid toxic build-up from processed food, including fried, pickled, smoked foods, dry and tinned animal foods and most treats. Give natural treats such as our natural Liver treats / T-Treats. 5) DO NOT VACCINATE – your animal has a compromised immune system and the vaccination will probably not be effective anyway. Vaccinations may aggravate cancer development and certainly add to the toxic load in the body. Some vaccinations have been linked to causing cancers. 9) Avoid foods with a high glyceamic index (i.e. sugars and carbohydrates) including dry pellet food which mostly contains over 60% grains. Carbohydrates are known to feed cancer. Very few pellet foods are low in carbohydrates; the Earthborn primitive is grain free. Feed good quality, fresh or frozen foods, which are still brimming with their natural enzymes. These enzymes are important for the maintenance of a healthy immune system, and allow food to be broken down and processed by the body in a more appropriate and efficient way, thereby producing less harmful by-products and absorbing more actively useable nutrients for use in the body for growth and repair. Home cooking partially breaks down these enzymes, and processing (usually much higher temperatures than home cooking) totally destroys them. For this reason it is best to feed RAW. Where possible feed organic food, as this has the lowest levels of hormones, antibiotics, pesticides and other substances that could build up in the system and put strain on an already compromised immune system. Free-range or organic meats are also lower in toxins and healthier to eat. Where the liver is compromised, it may be best to avoid red meat proteins. I recommend alternating Fish, Chicken, Turkey, Tofu, Rabbit and Cottage Cheese in liver damaged patients. The best anticancer vegetables are the highly coloured ones. This depends on the organ in question and advice should be sought from a qualified homeopath or holistic practitioner. See the CVMG website for help to find one near you. CVMG is the complementary veterinary medicine’s group of south Africa. Many of the supplements above are not available without specialised advise or prescription. And there are also many others available not mentioned here which may be helpful, depending on the individual situation. You are welcome to contact Dr. Anuska Viljoen for a telephonic consultation for further help and advise. Contact her offices on 044 3431730 or have a look at her website. The answer from many a behaviourist and trainer may be 'A stuffy toy dog'! Jokes aside, if you are considering a dog for your family that has kids, do read this article. 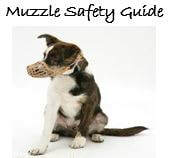 Dog Muzzles can be a very helpful aid to a dog training program, but they can also be dangerous if used improperly. Our certified dog trainer and owner, Jess Rollins, wrote up these dog muzzle guidelines to help you decide if a muzzle is the right tool for you and your dog and to help make you aware of some of the potential problems. Find out how this Sedgefield vet saved both her life and that of the dog after being bitten by this huge Puff Adder.